Bowel or colon cancer is one of the most common forms of cancer and early detection is vital. The sooner it is detected, the greater the chances of successful treatment. If it is treated at an early stage the survival rate exceeds 90%. Around 95% of colon cancers develop from polyps, which are benign tumours growing inside the colon. Typically, they do not cause any pain and often remain undetected for many years before becoming malignant. At this stage, the hidden early stages of colon cancer can be detected by a simple test for blood in the stool. This faecal occult blood test (FOB test) enables you to increase your chances of early detection and thereby reduce your risk considerably. Above the age of 40, if not sooner, everyone should perform an annual test for blood in the stool. It may be better to start testing before the age of 40 if, for example, there is a history of colon cancer or polyps in your family. The test serves to detect minute amounts of blood in the stool that is not yet visible to the eye. Colon polyps bleed occasionally and colon cancer will reveal blood at a very early stage. If, when performing this test, you detect blood in your stool sample, you should see your doctor who will investigate the possible reasons. 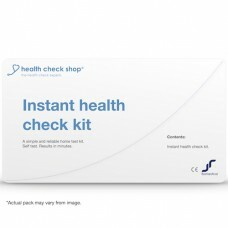 What makes this test unique is that you do not have to restrict your eating habits in any way in order to perform the test and it can be conducted simply and easily at any time of the day – giving you a result in minutes. There is no need to send samples away to a laboratory. A tiny sample of your stool (faeces) is conveniently taken with an applicator and inserted into a tube pre-filled with a developer solution. A drop of this mixture is then placed on the test strip for evaluation. Why the FIT test is more reliable? Unlike most home test kits, our test is based on FIT (faecal immunochemical test) which is designed to specifically detect only human blood. This means your results are not affected by diet. Read what Bowel Cancer UK says about the increased reliability of Faecal Immunochemical Tests (FIT) and why they are better than most current NHS screening tests. If the test shows a positive result (two lines in the window), you can assume that there is blood in your stool and you should see your doctor. Colon polyps can bleed intermittently which means that a single test on only one occasion may give a negative result. Although faecal occult blood tests are reliable for detecting even minute traces of blood, these tests will give a negative result if no blood is present in the stool sample. Experts recommend to test on at least two different occasions to reduce these risks. 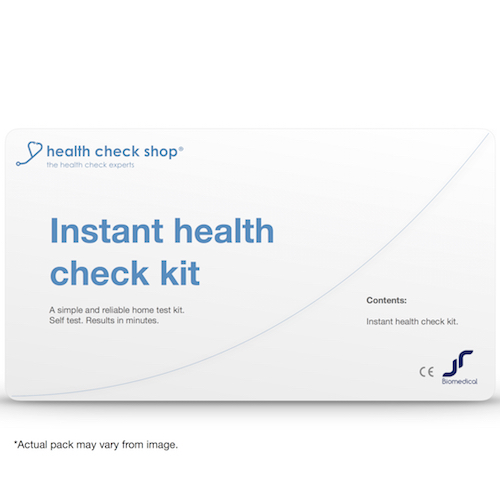 Stomach ulcer (H pylori) test kit INSTANT SELF TEST As reliable as a hospital laboratory t..